Most of us think that it’s all about location when it comes to real estate, and that is true for the most part. However, there are a multitude of quirky or even unusual factors that can affect your home’s price; and we’re not just talking of lot size, number of bedrooms, total square footage, number of bathrooms, and when the home was built. In this article, we’ll tell you about some factors that seem unimportant or of no value at first, but can have a huge impact on your home’s marketability and price. Keep on reading to know more below! Design Tips: Get in the Flow! Using Feng Shui to Stage Your Home. Feng Shui is the real deal. Not only does it help with energy flow and inviting good energy into the home, but it can also increase a home’s emotional appeal and marketability therefore increasing the home’s value all while helping solve structural and design challenges! For the reasons above, it is easy to see why home sellers and realtors oftentimes consult with Feng Shui experts to help sell a home. Some hire Feng Shui consultants before renovating a home but most do so when staging a home that isn’t attracting buyers. The right Feng Shui can turn a home’s luck from being nearly invisible to buyers to one that got buyers going into bidding wars. Want to know how you can achieve this? Just keep on reading! Rarely offered! Beautifully updated, 2,005 sqft semi-detached lofted bungalow in the highly coveted Barclay Square community. Soaring ceilings, a vast open concept layout, and multiple skylights combine to create a refreshingly bright and airy ambiance. This unit boasts a unique, stylish design you'll be proud to call home, with architectural features designed to show off your favourite art. It's freshly painted and ready to move in. Spacious family home on a premium lot in River Oaks! Situated on an oversized pie-shaped lot, this updated home offers four bedrooms, 3.1 bathrooms and over 5,000 total square feet. A stately brick exterior with professional landscaping opens to the formal foyer with custom wainscoting and crown moulding. The entire main level of the home has been professionally renovated, including hand-scraped wide plank maple hardwood flooring and mini LED pot lighting throughout. A traditional oak staircase with oversized designer chandelier overlooks the formal living room, with 18’ ceiling and massive feature window flooding the room with natural light. Home automation can give you a smarter home that in turn, can provide you with an incredible living experience. This means more free time, an increased sense of safety, and overall easier life. Want the above too? Then check out our top home automation ideas here! We usually think that the more features a house has and the more amenities are nearby, the easier it would be to sell the house later on, right? Well, the thing is, the features and amenities you like may be the exact opposite of what others prefer. Here are some of the most common features and amenities that are unappealing to some home buyers to help you in deciding your purchase and set your expectations if you are selling. 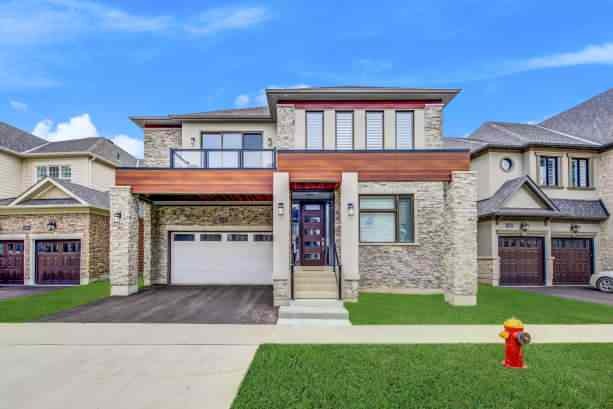 Located on a family friendly street, this 2016 Mattamy built 4 bedroom 3.1 bath home backs onto school parkland and boasts nearly 3,700 sq ft above grade. The entrance to this luxury home begins with a dramatic marble foyer. Choice finishes used throughout include heavy millwork, hand scraped Oak hardwood, California shutters, Hunter Douglas blinds and LED pot lighting. The tasteful light fixtures add an elegant vibrancy with ten foot ceilings on the main level and nine foot ceilings on the upper level. Nestled into private manicured grounds, this 5 bedroom 4.1 bathroom home boasts 3,827 sq ft of finished living space and located near some of the best amenities and schools in South East Oakville. The home features pot lighting, crown moulding, hand scraped Oak hardwood flooring and ceramic tile throughout. The generous floor plan features an open living/dining room, granite eat-in kitchen with stainless steel appliances, tile backsplash and green house breakfast area. A lot of you might be thinking of how labour-intensive it would be to clean up your fall garden in preparation for winter in just a few more weeks; but have you thought about letting things be and let nature run her course? In today’s blog, we’ll share with you some reasons that would make deciding not to clean up your fall garden one of the best things you can do this year. Sit back, put on your reading glasses, and be prepared to take some notes!